Scientists have finally climbed to the bottom of one of Siberia’s mysterious holes, and they have come up with some interesting information – and some amazing pics. 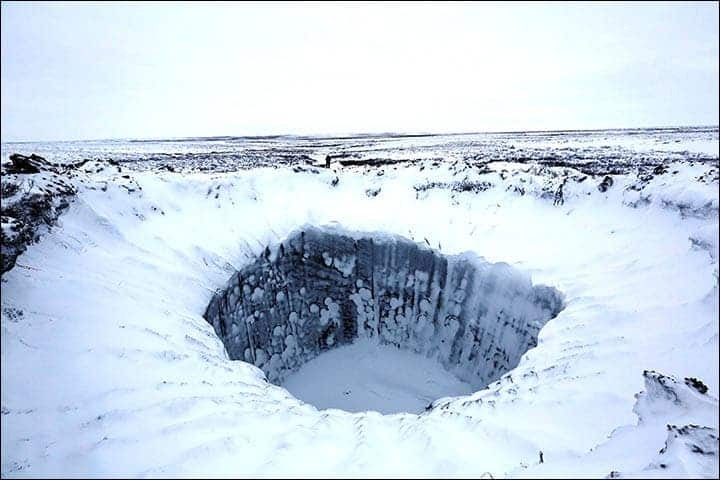 In case you’re not up to date, scientists started observing some mysterious craters in Siberia. The pseudoscience media had a field day – and so did conspiracy theorists. Could it be aliens? War testing? Meteorites? Sorry to burst your bubble, but those were never really valid options. 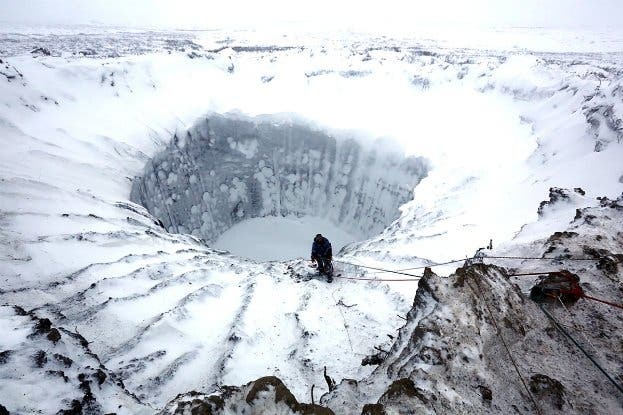 Despite not having definite evidence, Russian geologists attributed the craters to methane and raised some serious concerns regarding the release of permafrost methane. 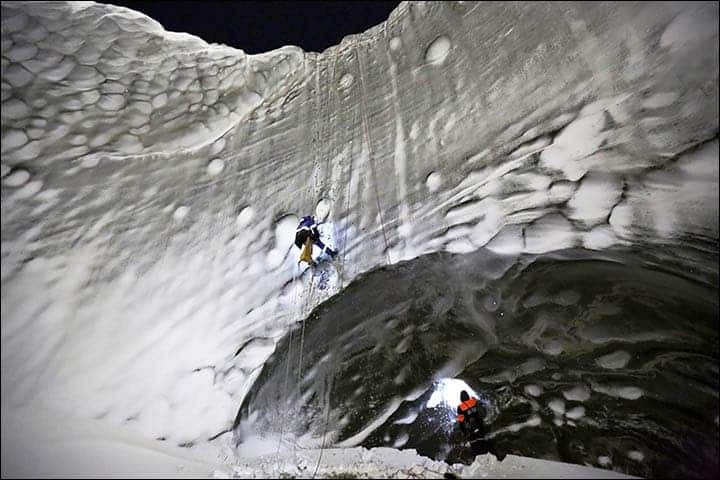 But now, scientists from the Russian Centre of Arctic Exploration have worked their way down into the bottom of the largest hole in order to find some answers. The hole is 16 metres down to its floor, but at its bottom, there lies a frozen lake which is another 10 meters deep. It took a while to be able to explore it, because researchers had to wait for the water to freeze over – otherwise, the descent would have turned into a muddy bath in a waterfall. What they found at first is that temperature in the hole is higher than expected. This has significant implications, because the area is also at a tectonic edge. The extra temperature could be caused by the friction and stress, but it could also be caused by gas explosions – which many believe are responsible for the holes’ creation. It’s also not clear if the holes are new, or if they are fairly old but no one actually noticed them until now. Rock samples and cores from the ice should also clear that out; geochemical testing and isotope analysis will likely yield the much needed answers. Researchers will also study satellite data from the 80s to see if the holes existed back then. All images and original cover: The Siberian Times.